Whilst preparing for a workshop I ran at a conference this week, I happened upon a new definition of ‘treatment’. I was planning an interactive session to look at the evidence base for coerced treatment. My thesis was that coercion appeared appropriate in the context of drug prohibition, but that a public health approach made more sense within a legally regulated regime. 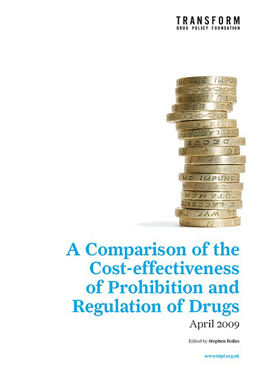 Paul Hayes, the head of the National Treatment Agency, has repeatedly stated that the money pouring into heroin and cocaine treatment would not be there, were it not for the crime reduction-led treatment agenda. And that alcohol treatment by contrast, had to take its place in the NHS pecking order. I would claim that this backs up my contention that a crime-led agenda would naturally lead to a treatment process that would be initiated from within the criminal justice system and further that it would make sense, within this regime, for ‘treatment’ that reduces acquisitive crime to be court-ordered. A significant problem here is that, to the extent that crime reduction is paramount, clinical and personal needs are de-prioritised. Thus a process of dehumanisation takes place and treatment workers, struggle to reassert the people, rather than ‘offenders’, at the centre of the treatment initiative. Treatment: Any method, technique, or process, including neutralization, designed to change the physical or chemical character or composition of any hazardous waste so as to neutralize such waste or so as to render such waste non-hazardous, safer for transport, amenable for recovery, amenable for storage, or reduced in volume. Such terms includes any activity or processing designed to change the physical form or chemical composition of hazardous waste so as to render it non-hazardous. There used to be a 'patient centred' treatment called the "British Narcotic System". 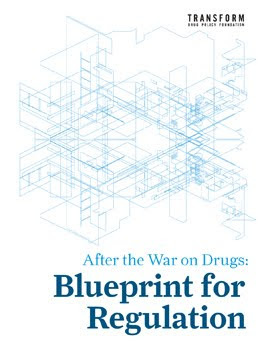 Before this was abandoned, Dr. H. Berger remarked... ''the real point of the advantage of the British method (is that)... in England there are few, if any, crimes committed by addicts in order to obtain the huge sums demanded by (American) pushers for illicit drugs... The British by their studied hands-off policy have saved the vast majority of their unaddicted population the price of crime, broken homes, welfare payments, and the like. This is the crux of the problem. Certainly any physician who grossly abuses the trust reposed in him... can be dealt with by local authorities without creating a huge black market and a crime wave. Should England's new regulations be too restrictive, then they will surely reap all the problems which now beset (the U.S.A.)". Well we are now reaping ! Here is the link to where it is from plus a bit of the background as to why it was abandoned (guess what site I found this on). So anyone that says there is no evidence base to show the benefit of treating the patient as a patient, just doesn't know what their talking about. What we really need to do is get back and reintroduce this system but with a well thought out regulatory framework and clinical/social support package to avoid the short comings of the previous system. This old system worked well until the NHS started to release (abandon) into the community those residents of the old asylums which needed closer support because they were very vulnerable – (which is why they were in the asylums in the first place). Being shunned by the rest of society they valued their new friends who just happened to be (surprise surprise) drug dealers. These vulnerable people created the regular core market for heroin ( to make full time dealership a worth while occupation) but remained by enlarge, under the radar because they only took enough to mitigate their symptoms and so most did not become addicted. This might be a bit of an over simplification, yet it is enough to explain the high UK consumption figures but relatively low figures of recorded addiction. Take-care of this cohort and one will be left with just the much smaller criminal element -that happen to be addicts as well. They can be treated the same way but in custody. The rest of the population should be left to make up their own minds based accurate information about the risks. anonymous - I think your history is a bit awry here. The 'British System' was once famously described as 'masterly inactivity in the face of a non-existent problem'. In other words, the 'hands-off' policy only worked in Britain because there wasn't a serious or significant drug problem at the time. You point about asylums is simply false. The reduction in the asylum population started in about 1955, the 'British System' was effectively curtailed in 1968 and yet the heroin problem didn't really take off here until about 1981 - these things are just not connected. Danny, your workshop sounds interesting. Any chance of posting a document or paper about it? anonymous - I think your history is a bit awry here. The 'British System' was once famously described as 'masterly inactivity in the face of a non-existent problem'. Isn't it a bit stupid to mindlessly repeat an old criticism, which tried to say in effect that it was so successful that it was pointless? Also, in the early 1950's the people who were first released, were those who (the hospital staff considered) would be the ones to most readily integrate back into society (even so, many soon ended up in prison). It was the Mental Health Act 1959 (which did not fully come into force immediately) that accelerated this expulsion from the old asylums (despite warnings from health experts and social services etc). The critical mass, making for a sustainable and growing black, was reached during the sixties. GP's in London began finding it difficult to cope without a unified treatment program. Politicly, the american's promised a cheaper solution which didn't entail more NHS costs. Good quality heroin (white injectable powdered stuff) started appearing in 1968 (this is from memory -but I am pretty sure about it). Now: do you see how much the prohibition lobby has muddied the water? Who has really been rewriting history? I'm very happy to have a discussion with you but not if it's going to involve personalised insults. What you call an 'old criticism' goes to an important point about causation. Did the 'British System' cause the drug problem to remain small and stable? Or did a small and stable drug problem allow the 'British System' to persist? I tend to support the latter view but I acknowledge there's a complex debate here. The other point I want to make is that discussions about the 'British System' do not necessarily tell us that much about prohibition, at least in the sense you imply. The 'British System' operated within a penal prohibition framework, not outside it. It was a different way of doing prohibition, if you like. The asylum point is a red herring, I think, but perhaps I'm not understanding you properly. If a new system is going to be designed it is helpful to understand why and where the last one failed – and this aspect is often over looked but it uncovers the societal framework that allowed the present situation to come about. *Starting in or just before the 1830s and ending around the late 1880s a progressive series of laws where passed, so that people who had became mentally ill were diverted away from the prisons and workhouses. Instead they were placed into pauper asylums. *By 1926 the last large asylum had been built. Back then, the problematic users of opiates, cannabis, cocaine, alcohol, chloral hydrate and to some extent nicotine, were by those who found these substances mitigated some of their symptoms of mental distress. However, once that they could all be housed away from the rest of society...Prohibition could be introduced. You'll see that the prison population now remains steady from this date (1926) until the labour shortages of the second world war. *Most addicts (that GP's saw) during that time were simply those with iatrogenic dependences -i.e. a dependence that was induced during medical treatment. These were easy patients to deal with. In effect, proscribing doctors had control of the black market and ensured that it remained unprofitable. *When attitudes to the mentally ill changed during the 1940's, the promise to provide those in these asylums with help and support once out in the community -did not fully materialise. With the benefit of hindsight, it is believed by many, to have been a politically motivated a cost cutting exercise – (not forgetting there had just been a very expensive war which still had to be paid for). Now, we are back at square one. People in various states of mental distress once more look for ways of self-medicating. ( Modern psychiatric drugs are not as effective as is made out -and many can not tolerate them) The proscribing doctors also found they had an extra problem. Instead of just seeing the very rare example of someone who wanted opiates (but not nessaserily physiologicaly dependant) , they were seeing more. But this was not the problem itself. It was because the welfare payments did not allow enough for food and heat that addicts found they could sell their surplus supplies back to their dealers. And the proscribing doctor had no way of 'networking' to find out if the addict was also seeing yet another doctor for drugs. Also the lack of the promised extra social services and community support meant that the doctors had no professional feed back as to the true position of their patients needs. Doctors were not allowed to change the way they worked but the criminal classes could. Prohibition was now free to run riot. *Had doctors been legally able to supply more freely (on an individual need basis) and refer back to hospital easily those who were losing the battle to treat their own symptoms of mental distress, then what leaked out onto the black market would have keep the prices too low to be profitable for dealers to import wholesale -just the way that slimming pills were so over prescribed that they had a negligible black market value. What is also over looked by most pro-prohibitionists is that individuals who are sound in body and mind don't tend to dabble. Now, this account may be different from the pontifications of many self appointed authorities on this subject, but that is more of a reflection on how little they know and understand. What I state is recorded in the contemporary documents of the day and can be read by anyone with the time to read thorough it all. This is interesting but I still is a seriously flawed account for several reasons. 1. You state that "individuals who are sound in body and mind don't tend to dabble". Where is the evidence for that? A gross over-statement, I would say. 2. Your discussion of what happened to the 'British System' by the end of the 1960s betrays a completely London-centric view of things. The rest of the country was really not affected by any of this. Britain only had a 'national' drug problem of any significance from the early 1980s. 3. So what were the causes of the 1980s problem? The earlier abandonment of the 'British System'? The running down of the asylums and failure to fund community care properly? I don't think so. Geo-political developments much further afield - e.g. the Iranian revolution, the Russian invasion of Afghanistan - at the end of the 1970s opened up new heroin trafficking routes. For the first time cheap brown heroin was available in reasonably plentiful supply and not just in London either (e.g. Liverpool, Manchester, Glasgow, Edinburgh). By the way, although I disagree with your analysis, I'm not a pro-prohibitionist!